Remember that you must be Super User to install Python the way we discuss here. And that's it. 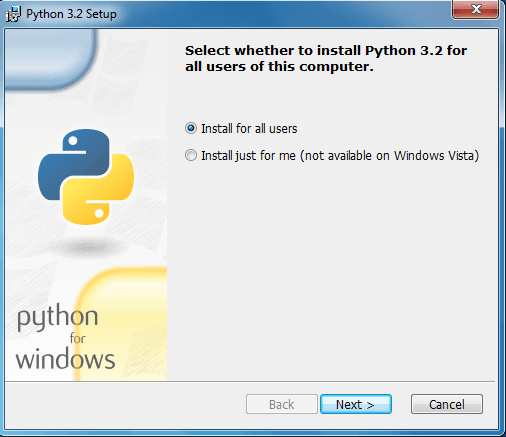 After this installation process, for all your Python Scripts, you have to add (if required) '#!/opt/python3/bin/python3' as your path. 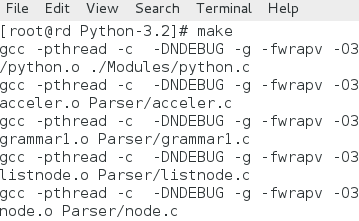 Also remember that with most of the Linux distributions, while installing, a standard installation process also installs Python by default. To run Python, just type python and hit enter and it will take you to the python prompt. Download .msi file of Python from http://www.python.org/getit/releases/3.2/. Once downloaded, double-click the file to install Python 3.2 on Windows 7. Wait now till the installation process is finished. For both Windows and Linux, to leave the Python prompt, issue 'quit()'.